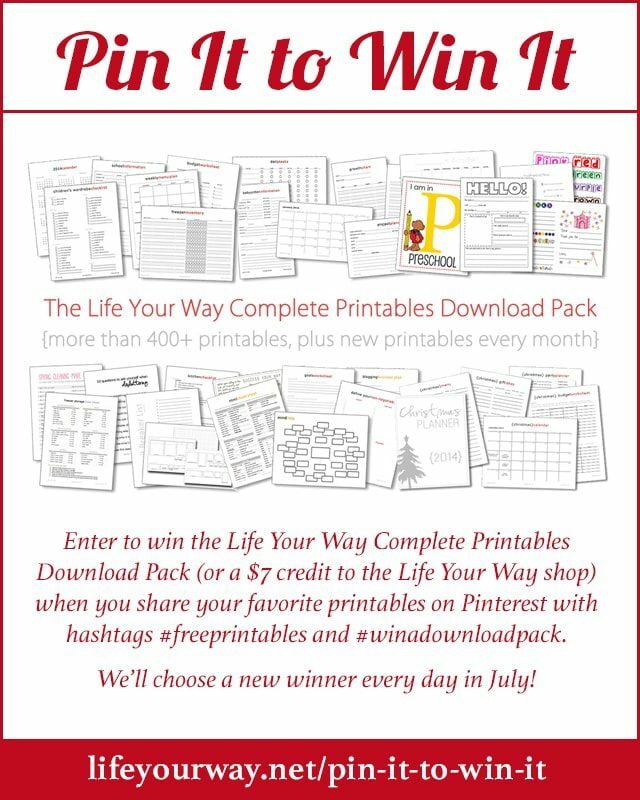 Enter to win the Life Your Way Complete Printables Download Pack (or a $7 credit to the Life Your Way shop) when you share your favorite printables on Pinterest. We’ll choose a new winner every day in July! 1. Pin your favorite printables and tell us how you use them in your home. 2. Use the hashtags #freeprintables and #winadownloadpack in your description. 4. Enter to win every day in July! Remember, someone will win a Download Pack—with more than 400 printables organized in ready-to-use folders for you to use—every single day in July! Next PostThe 2016 printable calendars are finally here!